Japan’s Daiichi Sankyo Co Ltd said on Friday brothers Malvinder Mohan Singh and Shivinder Mohan Singh will have to pay an additional Rs 950 crore ($143 million) for concealing facts when they sold their stake in erstwhile Ranbaxy Laboratories Ltd to the Japanese company in 2008. The additional amount includes Rs 851 crore as interest and about $15.15 million (Rs 100 crore) as attorneys’ fees and expenses and arbitration costs that Daiichi Sankyo incurred, the Japanese company said in a statement. This amount is over and above the Rs 2,563 crore ($385 million) slapped by an arbitration court in Singapore earlier this week as compensatory damages to Daiichi. “The total amount of award is approximately 56.2 billion Japanese yen (Rs 3,500 crore),” Daiichi Sankyo said in a statement. The company will announce the financial impact of the award when the timing of collection of the amount is confirmed, it added. The penalty on the Singh brothers was decided by the Singapore International Arbitration Centre on a case filed by Daiichi Sankyo in 2013 accusing the Singh brothers of concealing and misrepresenting facts and seeking compensation for the losses it suffered. In a statement on Thursday, RHC Holdings, which held a 27% stake in erstwhile Ranbaxy and was one of the respondents in the case, said it will explore legal options to challenge the fine. “All the parties to the arbitration are bound by confidentiality obligations as a part of the arbitration proceedings,” it added. 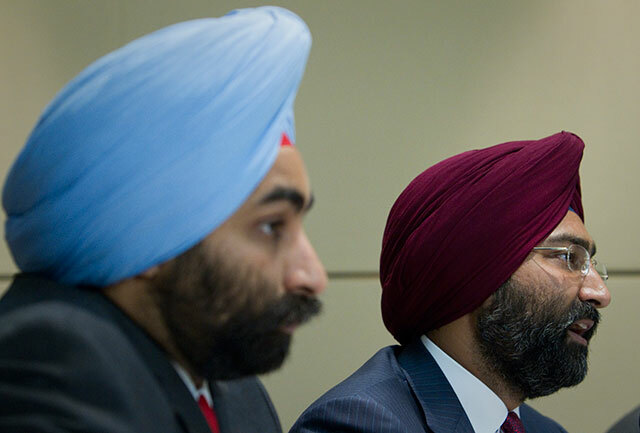 The Singh brothers had sold their stake in the drugmaker to Daiichi Sankyo in a deal worth about $4.2 billion in 2008. The Ranbaxy deal hurt Daiichi badly and the Japanese company posted a net loss of $3.45 billion in the year through March 2009. Ranbaxy also got embroiled in regulatory problems soon after Daiichi took over the company. The US Food and Drug Administration banned the sale of 30 drugs made at Ranbaxy’s two facilities after it found that the firm was not conforming to US drug manufacturing norms. In 2011, Ranbaxy set aside $500 million to settle the cases with US authorities. The cases were eventually settled in 2013. Daiichi agreed to sell Ranbaxy to Sun Pharmaceutical Industries Ltd, India's top drugmaker, in 2014 in an all-stock transaction valued at $3.2 billion. The overall deal value was $4 billion including debt, still lower than what the Japanese company paid six years earlier. The Singh brothers also own financial services firm Religare Enterprises Ltd and a hospitals business under the Fortis brand.